I feel like I’ve got my finger on the pulse of these Card Based RPGs man! This is the second one I’ve done a write-up on in less than two months! Better yet, I actually got to play this one, but more on that later. Lets get right into Neon Sanctum shall we? 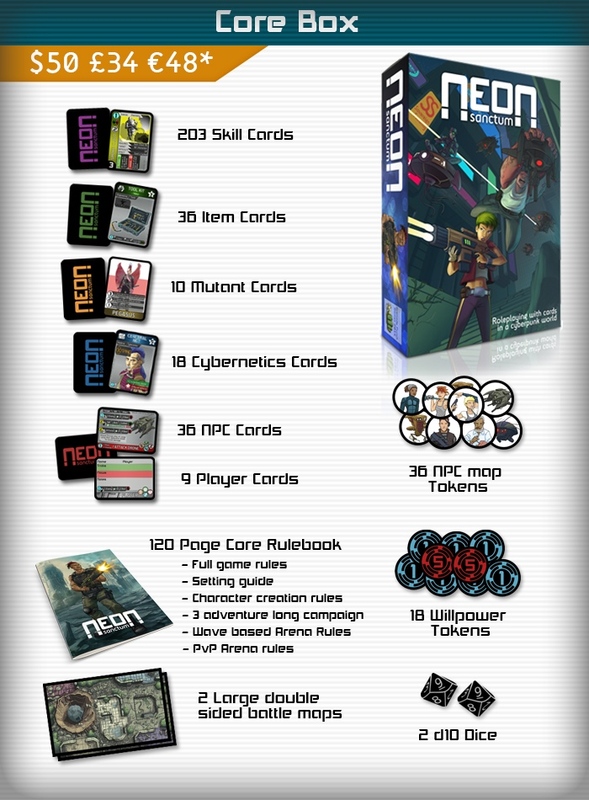 Neon Sanctum is set in the far flung future and if I had to compare the feel of the game’s lore I’d go equal parts Numenera, Shadowrun, and Gamma World. We have a society that has seen a collapse of its golden age of technology into a world run by Megacorporations that all vie for control of what little Golden Age tech is still lying around and use said tech to create more and more marketable items to continue to grow their stature. Typically the players in the game might end up working for or against one (or more) of these Uber Corporations, or they may even end up just trying to eek out a survival in the wastelands. Oh, and they’re mutants too, like big troll guys! 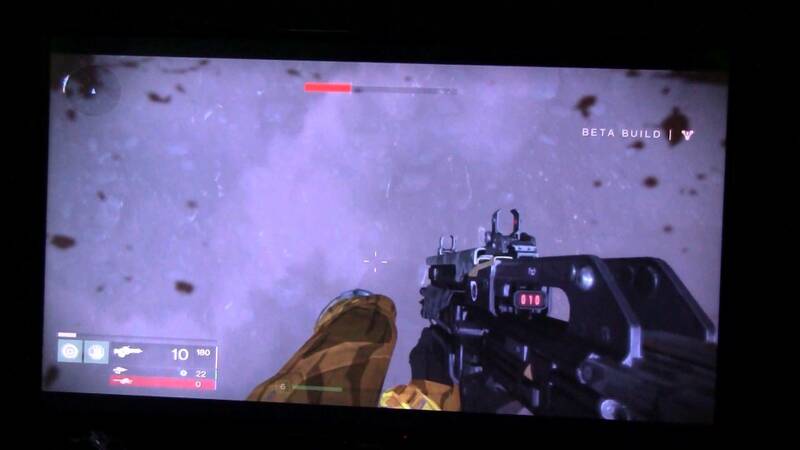 The game is very cyberpunk meets apocalyptic. This can result in some wide variety of interesting adventure schemes, makes it easy for a GM to shake things up. The Grenade Punch Games crew sent me a sample deck of cards so I got to see first hand what the finished product will look like and it’s quality stuff. Good stock for the cards and the artwork is well drawn. Early on I labored under the impression that the cards looked a little messy but I soon learned that once you’ve learned the flow of the game they are actually set up in a very logical order. I found myself breezing through the boxes of text whenever I would use a particular skill. Though I’ve only seen the artwork meant for the book and box online it appears to be of the same caliber. The layout of the Play-Test rules that I had on hand to work with the cards was very detailed and almost a bit much. Explanations got a bit heady and hopefully the finished product explains the game a bit better, it is plain to see that playing the game is (at least for the time being ) the easiest way to parse it. It’s honestly an easy game to “get” once you do. 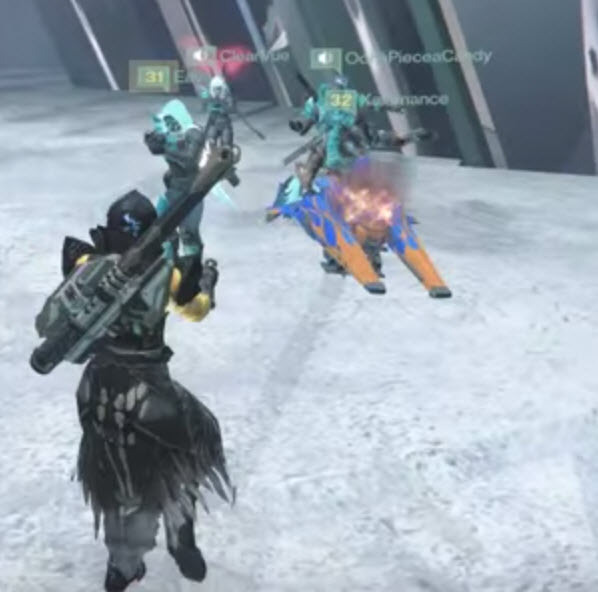 I was fortunate enough to get to play this game before doing this write-up. I was even more fortunate in whom I was able to play it with. I played in a game run by none other than Adam Waite, one half of the creative team for Neon Sanctum, and a few fellows brought in by the RPG Academy team. Caleb(@TheCalebG) from RPG Academy ran the podcast and we were joined by Matthew Parody(@MattParody) and Jon Serritos (@Renakku) as well. I was a bit nervous going in, not because I was playing with people I’d never met (that ship sailed long ago), but mostly because I’d had a bit of trouble trying to understand the game up to that point. If I’m to be honest I’d only taken about an hour to skim the material though. Thankfully Mr. Waite walked us all through a quick run down of the rules and it just clicked, this game is pretty dang easy I was certainly over thinking it. The cards you have are essentially your character sheet, any and all of them are available for use right away. 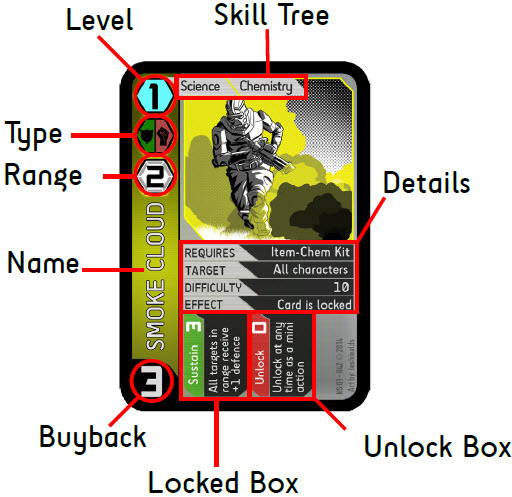 All the rules for using a card are found on the actual card and there are only a few extra “all-encompassing” rules that help make the whole game function. Once you know the overall rules of the game you can easily make out what cards to use for certain situations. One aspect of the game I really enjoy is the flexibility allowed for using cards. 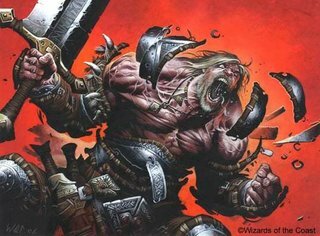 Most every card has a specific role for use within combat but when you are out of combat they become useful in a more generic way based on the type of skill they are. That way you can use the additional bonuses granted to your roll (this game utilizes two d10’s) by being a little creative in using a card. Combat itself allows for a lot of versatility as well, in fact there are a lot of things you can do with one turn. Without getting too technical the four big things you can do are deciding whether to Sustain something, choosing an Attack Style, a Defence Style, and your movement. Instead of just having a static list of things you can choose to do you actually allocate points (that refresh at the start of every turn) so you can choose where to put the most emphasis but you can still do it all. It seems like this would lead to lengthy turns, an issue all too often problematic with another Tactical RPG I recall (4th Edition D&D) but we found ourselves flying through turns pretty quick once we got the shake of it. 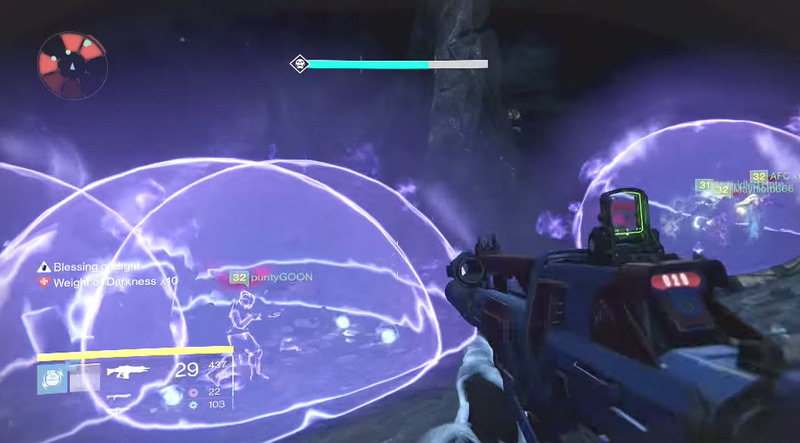 Get the complete Neon Sanctum Game. Over 300 cards, a Rulebook, tokens, battle maps and dice. Enough for four players and a DM to play the game. Backers also get the Print and Play and may purchase products from the add-on list for the amount listed. A Solid value for a lot of good product. If you think about it most RPGs have you spending $50 for just a Rulebook so this is easily a bang for your buck. 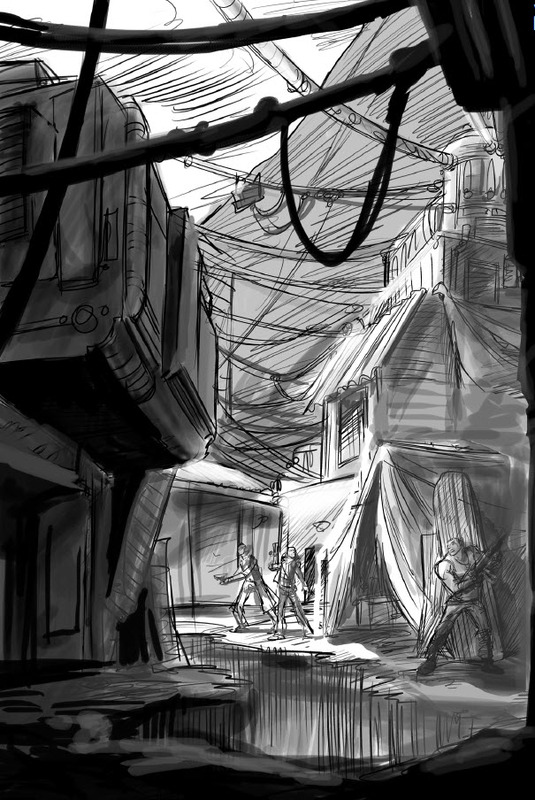 Neon Sanctum has the old world tech of Numenera, the Mega Corporations of Shadowrun, and a touch of the goofy fun of Gamma World. It brings all of that together into a fast paced, fun tactical card based RPG that offers players and GM’s a ton of versatility in play style and world lore. My favorite Card Based RPG to date. Hopefully you’ll check it out, and there are a few ways to do so. I’ll be sure to post the link to the Podcast of my play through with Adam Waite and the RPG Academy folks soon! In the meantime, check the game out. My money’s in the pot, I want this thing to fund! 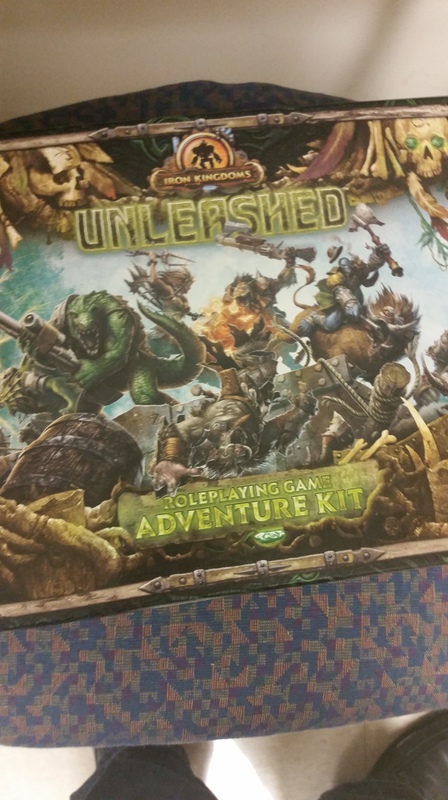 This Unleashed RPG Adventurer Kit Was Involved in a Car Wreck & You Won’t BELIEVE What Was Pulled From the Wreckage!! Clickbaity enough for ya? Thought so. The story is true though. My family and I were involved in a fairly substantial car accident merely a day after receiving my review copy of this game. We are fine (the car isn’t) but I was also pretty impressed with the fairly limited damage done to this solid hunk of gaming! I mean, it was at the impact point, perhaps it even absorbed an outrageous amount of the blow, just maybe… it saved our lives!.. Okay that last one stretched things a bit, still, kudos on Privateer Press for crafting such a stalwart game. Only a mite roughed up! 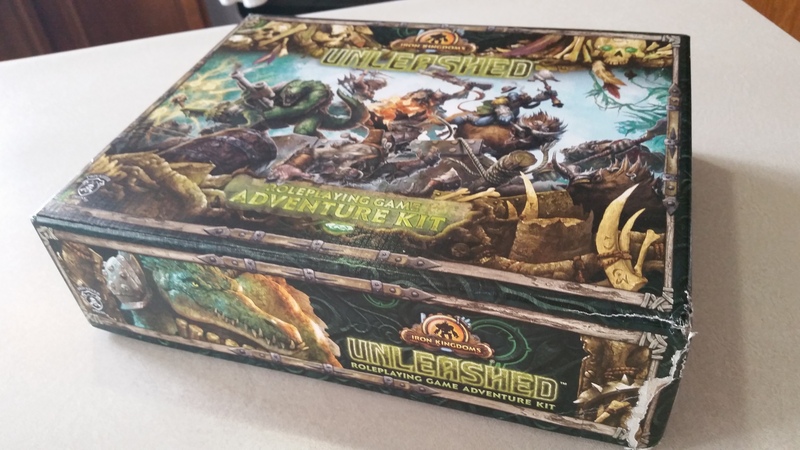 The Unleashed RPG Adventure Kit! More Fun Than You Could Shake a Half-Gnawed Severed Limb At! I should have lead with this title. I know somewhere on this blog I’ve mentioned a love for Privateer Press’ Iron Kingdoms RPG, despite never doing a full on review of the system, and if I haven’t I know I’ve lauded it on my favorite social media platforms. 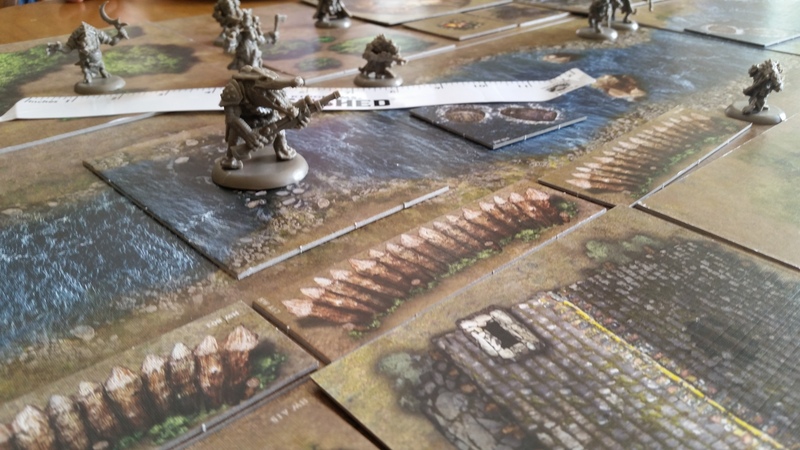 With a rule-set modeled after their equally fun tabletop wargamming platform Warmachine, you find yourself dropped into a surprisingly easy to parse strategic fighting RPG with a rich backdrop of lore. The Iron Kingdoms Core Rulebook introduced players to warring kingdoms of people we find a bit more familiar; Humans, Elves, Dwarves, etc. all vying for power in civilized lands constantly at war using both powerful majicks and technology. Metal on metal fantasy full scale warfare. We aren’t here to talk about civilized lands though, we’re here to talk about the wilder lands of Western Immoren. 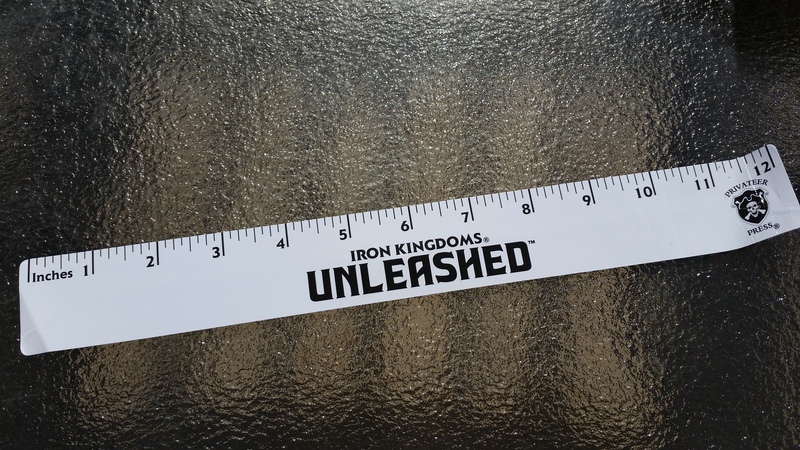 Unleashed will be a companion rule-book, fully compatible with the one that proceeded it, but will detail the sentient creatures of the wilds of Western Immoren. Just prior to its release though we have this surprising little gem show up, the RPG Adventure Kit. I honestly wasn’t sure what to expect when I heard this was coming out a month or two before the full on Core Rulebook but I was willing to give it a try, especially because it was going to come with some Minis. 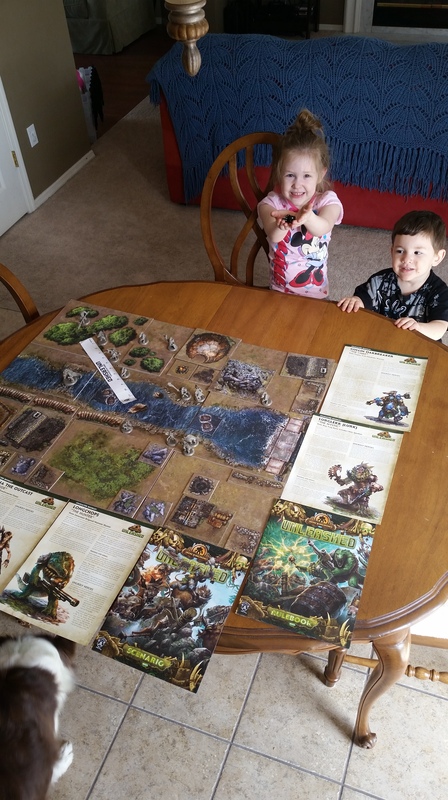 My experience with “kits” lately has been limited to the D&D Starter Set for 5th Edition, something I’m in the process of using to introduce a few kids to D&D. The Starter Set is very much worth the dollar figure, roughly $12 on Amazon, but as that’s a rather low price point you don’t get too much. A rough set of rules, an O.K. adventure, a few pre-gens, and some dice. Certainly serviceable, I’m still using it after all, but nothing really catches the eye to draw in new players in my opinion. This boxed set though? Everything catches the eye. 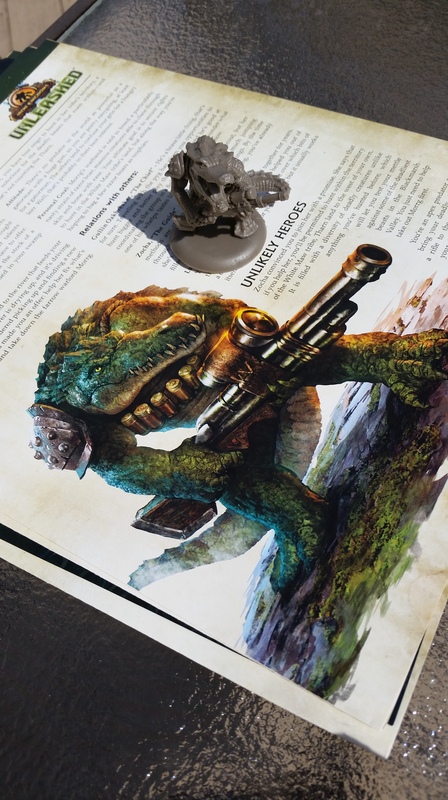 Privateer Press held nothing back and has come nowhere near doing a slipshod job when putting together this introduction to Unleashed. The first thing you notice when opening are some punch out tiles with terrain printed on them. You think there’s a few for garnishment but then you keep pulling tiles out and realize that you’ve got tiles for days man! Every single one has an image on both sides too effectively doubling the already impressive amount of terrain you can use. 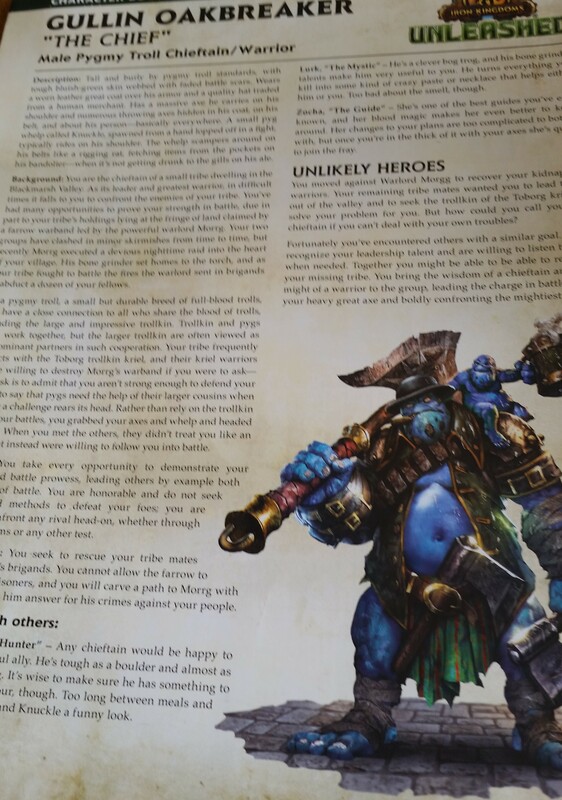 The Rulebook and Scenario are both very appealing to the eye and the character booklets are huge four page spreads that really detail who you’ve chosen in both art and letter. 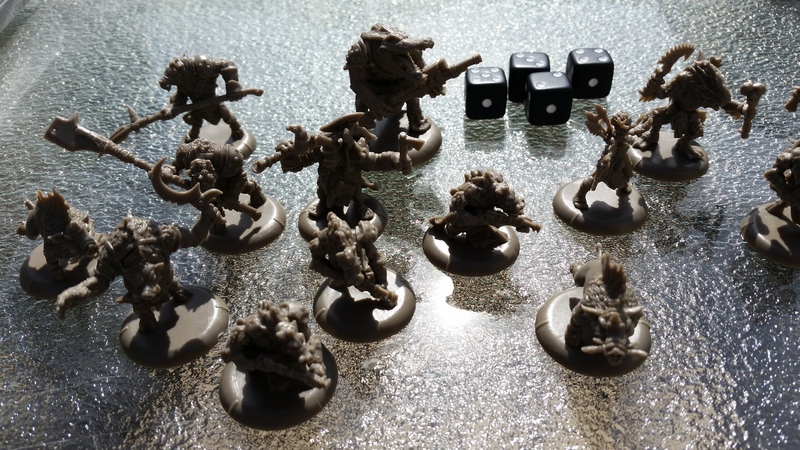 They round things out with a fist-full of excellent minis for use with the Scenario provided, a simple set of six-siders, and lastly, the only thing I scratched my head at, a truly pathetic ruler (had to have been added as an afterthought). The artwork keeps in theme with every product put out by Privateer Press in this world, I’m glad I like it because they are consistent. With Unleashed they get to play around with the brutal nature of the game and really craft some nice looking characters. Sadly there isn’t much art in the actual books but they do have a bit more than other kits I’ve seen. I’m already a fan of the system. As mentioned before it’s very similar to the Wargaming system it’s spurned from so there is hardly any gap in playability for those familiar with Warmachine and Hordes. Unleashed is the “Hordes” version of the RPG system so it is is incredibly brutal. You have characters that use body parts for food, or even to spruce up armor. The world of Unleashed is very much a survival of the fittest landscape and I think that lends a lot of fun to the players of the game. Killing a foe and eating their flesh isn’t an evil act, it’s an act of survival. In fact I’d be surprised if there’s a GM who’d even consider worrying about the alignment of characters in this dangerous setting. The scenario provided with this game does a good job of explaining why all of these denizens of the wilds would form an unlikely partnership. Much like it’s predecessor you need to do such things as this world can easily slip into a faction-like mindset where it might be odd to see a Bogg Trogg working with Gatorman but when the four characters in this setting want to move against a powerful enemy differences, and appetites, are set aside and respect for ability sets in. The scenario offers up five large scenes and to me it looks like it would take roughly two to three nights to play it out. A nice caveat is added at the end to describe some possible continuation adventures. So, I’m very impressed with the Scenario provided. No corners were cut and the punch out landscapes will go a long way in setting the stage, not to mention you can use those punch outs for some Hordes fighting in the future. 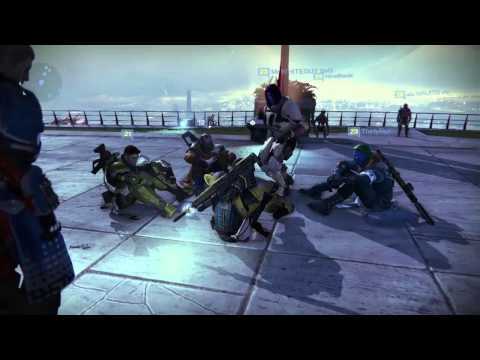 The character pre-gens are all very flavorful and players will have a blast role-playing their brutality. If you want though the streamlined Rulebook provided with the game will help you craft new Player Characters. Other rules set out in the book do the job of explaining how to play very well. I already knew I was going to be a fan of the Unleashed Core book but I’m pretty surprised how much I like this RPG kit. The best thing about it has to be the tile pieces and the miniatures though, once your players have done the scenario no matter how good it is there’ll never be a really good reason to run it for them again. The physical stuff though? That will keep and can be used for Unleashed adventures for years to come. My advice is to get both Unleashed and the Kit if you can. If you have to choose between the two I’d lean Core Book, but that’s me. Take care folks! I mean, I say Id lean Core Book… BUT LOOK AT ALL THIS STUFF!! So the Blog is live. I still have some kinks to work out but, here it is. I’m not overly certain what I’ll do with it, beyond obviously using it as an area to delve even deeper into analyzing my various hobbies that is. I can’t imagine everyone who has ended up with a successful blog started out with a firm idea of what they intended to do with it, so I feel like I’m fine just posting about junk I like. We’ll see where it goes from here. I can certainly attest to one thing though. Without Twitter, you likely wouldn’t be reading anything I’ve already placed on the blog (some of my older contributions to other sites) or what I may write in the future. Twitter has been this crazy wonderful addition in my life. Not the app itself mind you, but the awesome people it has introduced me to. There are too many to even list here, and I know I would leave out some important ones so I won’t even try. Suffice it to say, the people I’ve met over the last few years since joining Twitter have pried my eyes open to so much more in the hobbies I love with dynamite, and have even encouraged me to pursue things I’ve only considered in daydreams. All of this is just making me all the angrier that my flipping Twitter Widget doesn’t seem to want to work though… so I’ll move on. So settle in folks, and follow me if you wish. I hope to bring new, interesting content your way. Or maybe even a new take on a topic that’s being regurgitated all over the place. Likely I’ll just spew the same stuff but with like jokes or something. P.S. You can add a Post Script to a blog right? I think that’s a thing… Anywho, the whole “Melvin Smif” thing. It’s a nickname given to me by my best buds growing up who are all members of “The Krew”. Maybe one day I’ll write up a post describing what exactly The Krew is, though that particular rabbit hole can be delved at a later date. 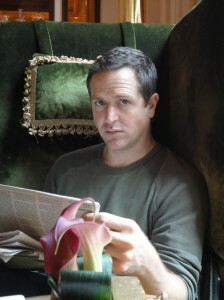 Hugh Howey is best known for his series of Novelettes that resulted in the Wool Omnibus Edition a self published, and still ongoing, series on Amazon. 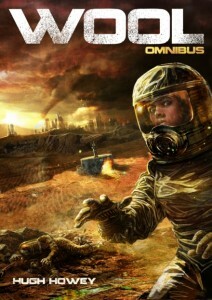 This Omnibus spent a span of time at the number one mark on Amazon’s Bestselling Science Fiction list and is currently sitting at number 7, months after its debut. The individual Novelettes all took their turn as well. The most unique aspect of it all is, every one of them were self published and were electronically available via Amazon. Kevin Smith: Reading the “About You” section on your webpage one gets the impression that you’ve always had a desire to write but only recently capitalized on that desire through the ability to Self Publish via Amazon. Did you ever attempt to work through publishers at all or did you set out to Self Publish from the beginning of your work? Hugh Howey: When I completed Molly Fyde and the Parsona Rescue, my first-ever manuscript, I assumed it would be self-published. It wasn’t until I let friends and on-line acquaintances read the work that I was urged into publishing it through someone else. So I sent the manuscript off with a query letter to dozens of agents and publishers. Surprisingly, a few expressed interest in short order; I had an offer from two publishers within a couple of weeks, and I went that route. After seeing what was involved in producing the book and getting it off to readers, I decided to try my hand with the sequel. Even though I had a contract and offer for the next work, I realized that the vast majority of the effort behind selling a book fell to the author no matter how they are published. Only a tiny fraction of writers have real marketing muscle placed at their disposal. I never dreamed of becoming that fraction, so it made sense for me to shoulder a little more of the work in order to keep a lot more of the profit. The goal wasn’t to get rich, but to at least make enough money to not have two full-time jobs. KS: Wool, and the following Novelettes (5 in all) collected into the Omnibus Edition, is by far your most well known, and loved, body of work. Is it your favorite as well? HH: As a reader, it is probably my favorite. I think it’s technically and emotionally my best work. But as a writer, I would have to go with the first Molly book. The plot in that story is something I’m so proud of, and you never forget the feeling of completing your very first manuscript. It’s always a rush, but never again like that first time. KS: I read on your webpage that Wool began as a single short story and you wrote more because of the rabid love of your audience. Does this mean you initially intended to stop with just that one story, or did you always intend to expand? HH: I had no real intention of expanding the story, but I do leave that as a possibility with all of my works. I have sequels in mind for Half Way Home and The Plagiarist. But time is limited, and I have a ton of stories I want to tell, so most of these follow-ups will never see an opening sentence. The demand for more Wool was something else. It’s remarkable, looking back, because the tenor of the rest of the story and the main characters that come later are nothing like what people were demanding more of. I had these high expectations from readers, I delivered something radically different, and it miraculously worked out very well. KS: Did you ever expect this kind of response to your novellas? Did you do a final read through of Wool and say to yourself “I’ve got something here”? 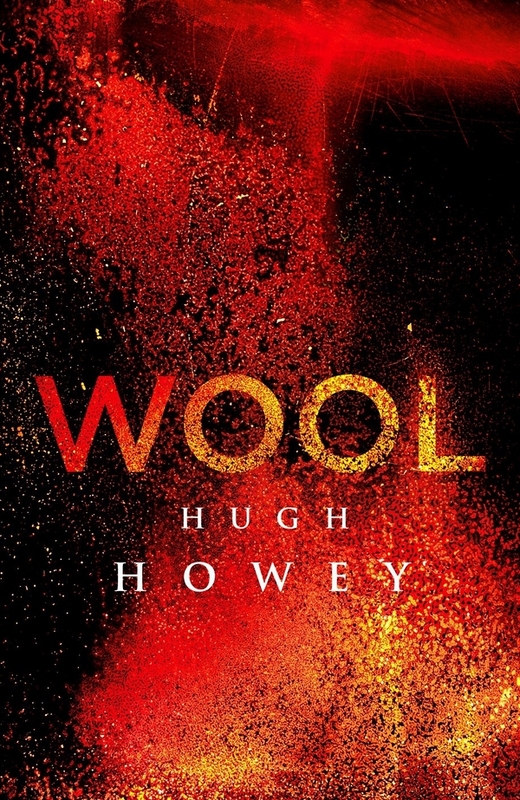 HH: When I finished Wool, I knew I’d written something that really pleased me. It was the kind of story I love to find as a reader. What I didn’t think was that anyone else would enjoy it. It was almost like a writing exercise, like a surfer going out on a perfect day with no audience and just carving waves for the pure thrill of it. When you find out later that it was caught on film and other people took sublime pleasure in what you did – it makes it a completely new experience. That’s what Wool feels like to me: a work written for very private and personal reasons that then resonated with a crowd of like-minded people. KS: A complaint many have with the Self Published community is how poorly edited much of the prose offered there is. A repeated compliment in the reviews I’ve read refers to how grammatically sound your fiction is. Did/Do you have an editor that you work with, or is it all you? HH: Oh, if it were all me, there would still be tons of errors in there. Having said that, I have received compliments from professional editors that my rough drafts are very clean. I credit this with all the great editors I’ve worked with over the years. Lisa Kelly-Wilson and Nadene Carter taught me a lot. And I didn’t just correct the mistakes they found – I tried to learn from them. When I was working with NorLights Press on my first manuscript, I started noticing that the same mistakes accounted for most of the corrections. We were editing the work a chapter at a time, so I rushed ahead and tried to fix these bad habits so I could send new chapters across and make Nadene’s job easier. In a way, I’ve just kept doing this with each manuscript. I made a note of my weaknesses and tried to improve in these areas. KS: When did you really “get” that Wool was making a big splash? Was it when people started demanding more or was it when the likes of Ridley Scott and Steve Zaillian started speaking with you about potential movie rights? HH: It was the foreign deals that really made me sit up and wonder what in the world was going on. The enthusiasm from so many markets and cultures overwhelmed me. We went to auction in the UK and Germany, and the pitches from all these editors detailed huge plans for Wool that really blew me away. In order for a book to land deals like this, it has to be read and enjoyed by a lot of people who are difficult to please, who read a ton of work that they pass on. I finally started believing this was real when those people came at me with such strong offers. We’ve agreed to terms with sixteen foreign countries as of this writing. Another country made an offer today, in fact! Another sign that something is taking place has been the recognition of my peers. I was at a book conference recently as an attendee, not a guest. Wool had taken off, but it was too late to ask to sit in on any panels. I spent my time trying to learn as much as I could from these other authors, not telling them who I was or even that I was a writer. I was buying signed copies of their books and sitting in the audience and taking notes. What freaked me out was when a few authors at the conference did a double-take at my name badge and asked me if I was who they thought I was. That amazed me. It made me realize word was spreading further than I had thought. KS: Wool is so claustrophobic, not just because of the physical location, but even in some of the more tense situations. Was it a challenge limiting yourself to such a small a tiny environment? HH: Not at all! I spent five years living on a 27’ sailboat. My last house was 750 square feet, and my current one is a palatial 900 square feet. In a lot of ways, creating a tight environment simplifies the writing process. There isn’t a sprawling empire with a dozen lordships and dark forests and mountain ranges to manage. And a small place also gives the reader a feeling of being trapped. Look at Alien or any of the great haunted house films. There’s no place to escape to. The action is contained, which makes it even more intense. KS: Do you think you will ever spell out exactly what happened to cause the apocalyptic world the characters in Wool live in? Readers now know who caused it but not how or why. HH: I already have! 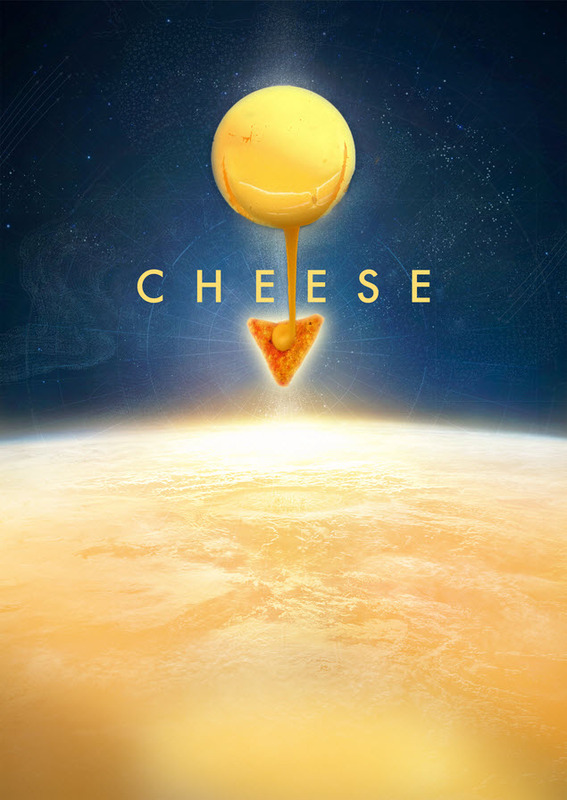 The first prequel is out right now. It’s called First Shift: Legacy, and it tells the story behind the creation of the silo. It’s an end-of-the-world scenario that I think is far more likely, and it hasn’t been done anywhere else that I know of. It’s always some vague environmental collapse or nuclear holocaust. The former I find highly unlikely; nature is more resilient than we give her credit for. The impact that wiped out the dinosaurs (and most other species) created a devastating nuclear winter that nature recovered from (and some mammals thrived through). The nuclear threat diminishes with each passing year. I find it cliché and less terrifying than it was in my youth. The disasters I can believe in are quieter and less dramatic: a virulent virus, nanotechnology, a genetically modified disaster. If our end comes, I fear it will be nearly invisible and not worth seeing in IMAX 3D. KS: So it seems I should have done more homework then! So are you going to continue writing in Novelette form? HH: The first of three prequels is already out (First Shift: Legacy). These will all be novel-length at 60,000 words each, which is about 240 pages. The third act will combine the storyline from Wool with these prequels, and it will either be short novellas or one big honking book. I haven’t decided yet. KS: What tips would you give to others interested in Self Publishing? 1. Keep it short and simple. I think 80,000 words is a good ceiling to set for your first work. You’ll find editing and revising a work of this length is much easier. If you can, start even shorter than that. Write a 15,000 word work with a beginning, middle, and end. Get used to finishing what you start. 2. Don’t write a series. After you publish that first novel or short story, go write something completely different. Otherwise, you’re always selling book one of the series, which will not be your strongest writing. Diversify. You never know what will take off. 3. Your book is never ready when you first think it is. Take some time away from it before giving it another read. And believe all the criticism from beta readers. Use their objectivity to make the work stronger. Doubt those who love you. 4. The plot is more important than the writing style. If you have a good story, just tell it. Don’t try to get fancy or flowery. Pretend you’re writing an e-mail or chatting with a friend. The harder you try, the more it’ll show. 5. Stay focused on your goal. When you sit down to write, don’t get distracted. Force yourself through to the end of the story and trust the revision process. Don’t get sidetracked! Write a horrible first draft if you have to. It’s better than no first draft. KS: What is it about the Novelette format that keeps you writing your stories this way? HH: It was an accident, really. 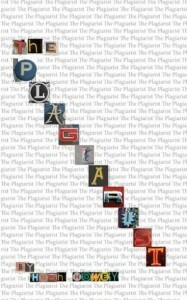 I wrote The Plagiarist as an assignment for a class I was taking, and I really fell in love with the length. I was able to tell a full story in 60 pages, and I was able to edit and revise it in much less time. After finishing this book, I was inspired to write a story I’d been sitting on for at least five years. It was originally going to be much longer, but I’d seen what was possible with an economy of space. And so I wrote Wool just to excise it from my system, to get it out there. Its popularity is what led me to explore the novelette further. KS: Tell me about some of your other works. Which ones would you suggest to someone who has just put down Wool? HH: I would start with The Plagiarist. It costs a buck, is a quick read, and features similar philosophical questions. 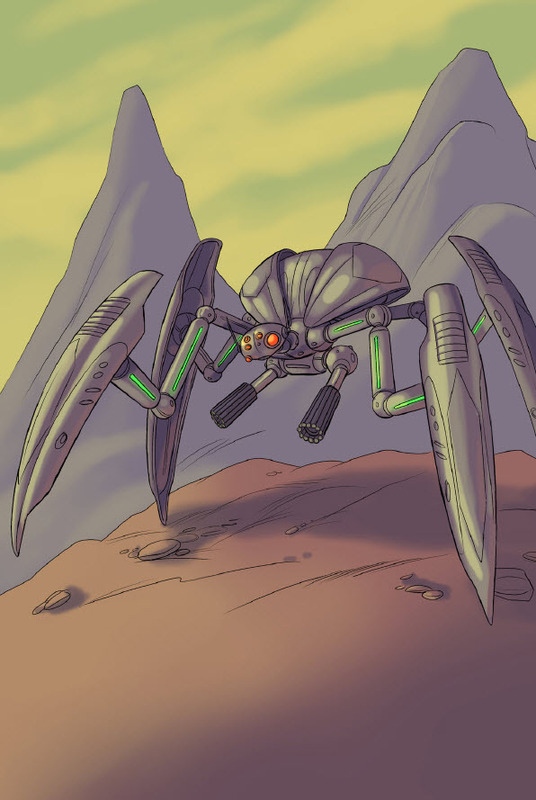 And then I would check out Half Way Home, which is Lord of the Flies meets Starship Troopers. And while I’m cautioning most people away from I, Zombie due to how disgusting it is, I think the underlying metaphors are worth enduring the messiness. KS: Will I, Zombie be a single story, or do you intend to continue with that as well? HH: I have two follow-ups to I, Zombie in mind. There’s no telling if I’ll find the time to write them, but I want to tell the story from the other side. When you read I, Zombie, you’ll see all these survivors and hints of their perspective. A book that mirrors I, Zombie but is more conventional begs to be written. The other sequel is a post apocalyptic tale that takes place well after the events in I, Zombie. This book would follow the grandson of one of the characters in I, Zombie as he searches for the legendary “talking zombie” that his grandmother once whispered about but no one has ever been able to prove exists. KS: What has been the greatest thing about this whole experience for you? HH: Connecting with readers and having an audience. When I started getting emails from fans — and people began reviewing my book on their blogs because they wanted to, not because I sent them a free copy and begged them to — that really reinforced what I was doing. Now I get to spend my day crafting stories that I enjoy telling, and I have an eager readership waiting on the other side. It’s an amazing feeling. A lot of pressure, but an amazing feeling. KS: Were you a fan of Science Fiction and Fantasy prior to writing Wool? Is there any body of work that you could point to as hugely inspirational? HH: Absolutely. I grew up on science fiction. I loved the Foundation series, Ender’s Game, 1984, all the works that made you think about deeper issues while they entertained you. I’ve also been influenced by the thousands of comics I’ve read and all the TV and film I’ve watched. There are so many ways to absorb stories, and I’ve learned from them all. KS: Did/Do you draw on any people in your life as inspiration for your characters? HH: Oh, yeah, I think all authors must. You have to draw upon what you know. 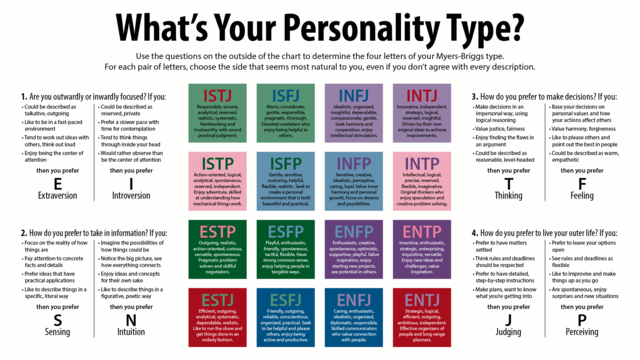 But it isn’t like you take someone and drop them into your story; you pick a slice of their personality, a physical trait, and you combine it with a half dozen others that you’ve picked up on. Every character is an amalgamation of multiple people. Except for the bad guys, of course. Those are all people I’ve worked for. KS: You’ve had an adventurous life yourself. You spent some of your time as a young adult sailing through islands in and around the Atlantic Ocean. Any chance you’ll ever write a sea faring adventure? HH: In a lot of ways, my Molly Fyde series is a seafaring tale. The planets they visit were inspired by islands I’ve hopped between. And running a large yacht is a lot like captaining a spaceship. You have to be able to cobble together repairs in the middle of nowhere, stock food and spares and supplies for long journeys, and know a little bit about electronics, diesel engines, plumbing, and so on. I do plan on writing something like my memoirs one day. It will focus exclusively on events that occurred near or on the water. I’ve had enough crazy things happen to me that I think it’ll only be mildly boring, not full-on mind-numbingly boring. KS: Are there any other Self Published writers you would recommend? HH: For sure. I’m a huge fan of Matthew Mather’s Atopia series. I like Cole Drewes and David Adams. There are so many wonderful writers out there (Ryk Brown is another) who could easily be with a major publisher, they just don’t want to take the pay cut that would entail. KS: Many of the readers on this site enjoy gaming, whether it is Pen and Paper Role-playing, board, or video games. Do you partake of any of these hobbies currently or have fond memories of doing so? I then moved to computer RPGs. My favorites are the single player games with turn-based combat and great writing and characters. Baldur’s Gate, Fallout 1 & 2, The Temple of Elemental Evil, Divine Divinity, and Arcanum are some of my favorites. If they still made games like this, I wouldn’t get any writing done at all. KS: If someone approached you with an idea to create a role-playing universe or video game based off of Wool would you like that? HH: I wouldn’t kill for the chance, but I’d certainly maim someone. I do have an idea for a video game that would break all the rules and bring realism to the medium that hasn’t otherwise existed. 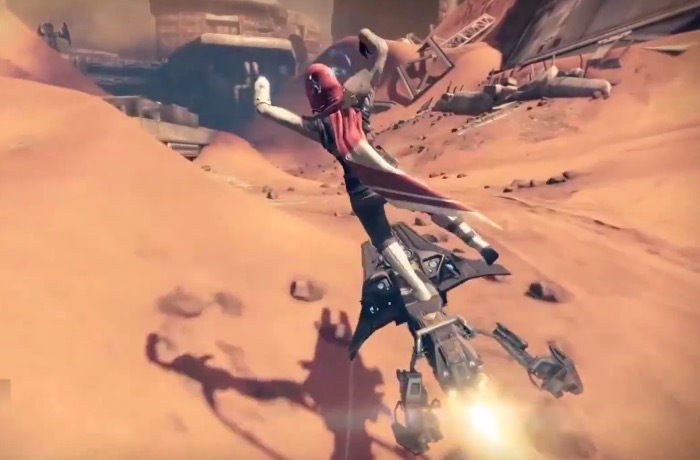 One of the things that’s always troubled me with video games is the fake ratchet of difficulty. 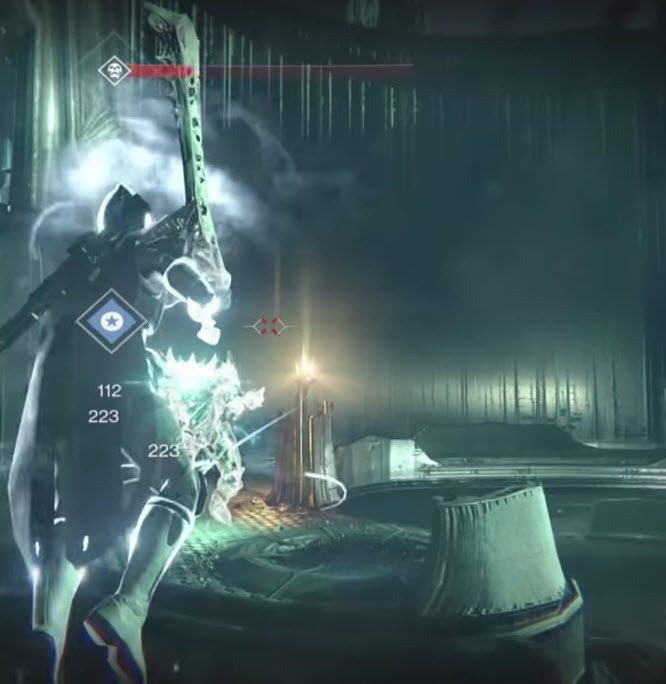 You fight the weakest baddies at first and gradually work your way up. Why doesn’t the evil mastermind send his ninjas or dragons after you right away rather than train you up on rats and weaklings? 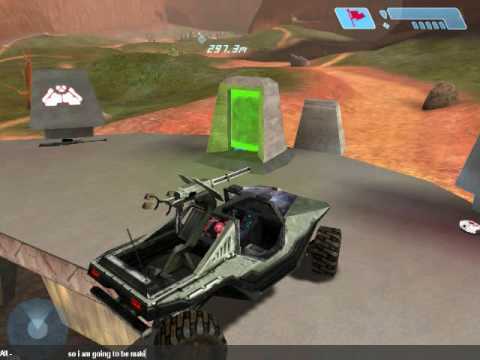 The game I want to make handles the difficulty ramp in a believable way. It also tells a story about the human condition that I think would move players like few games have. But of course, all game developers set out with these ambitions. And at the end, they are rushing a product out the door and writing the first of many patches at the same time. Still, I’d love to give it a shot. Or at least draw up the plans so someone else could make it and I could play it!